The old and antique furniture comes with a great value. It comes with a lot of history and has to be maintained in the right manner. If you do not have any preservation skills, you need to know some of the tricks to keep up with the look of the antique chairs. 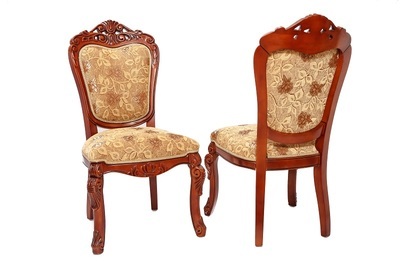 Antique chairs can be made of wood, or iron, and they definitely add a good resale value to your existing property. You do not always need to change the upholstery of these chairs, but you can go for regular levels of maintenance. So, you will have to learn some techniques so that you can add some value to the old and expensive furniture. Do not use random cleaning sprays: It is quite usual to find furniture cleaning sprays on the market. Do not be tempted to buy it and worst use it on your antique furniture. Such sprays vary in their chemical content and using them on the antiques would leave oil residue on the furniture. So, there is no need to be swayed with the shiny or glossy look that you get for the furniture after using the spray. Using rough material to clean: Never think of using any towel or cloth especially the rough ones to clean the antique chairs. It is possible that using such rough or abrasive material will leave scratches on the furniture. Do not use even the feather dusters to clean or dust the furniture. Check some video tutorials online on how to clean the antique furniture and which kind of cleaning materials to use. 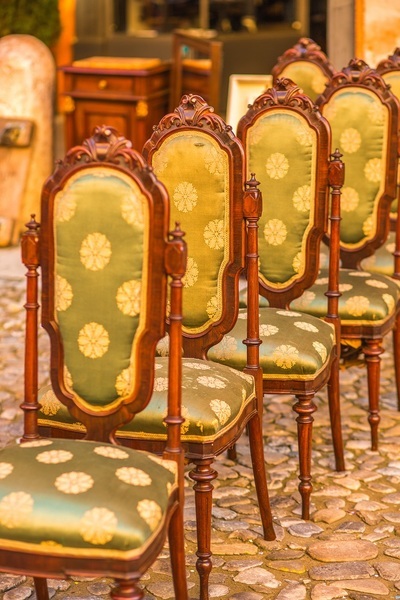 Waxing the antique furniture: When it comes to maintaining the antique chairs, you should know about the method of applying the wax. You should invest in high-quality wax that will keep your furniture stable and preserve the look for a longer period of time. Ideally, you should be using lint free cloth or waxing wipes to use it on your antique furniture. If you think that you are unable to do it properly, you can bring in the professionals to help you with the same. Pests or Insect Infestation: Bugs and pest infestation are common when it comes to fabrics, upholstery, and furniture. When you have antique chairs, you should be all the more careful with them. Hence, you will have to keep checking if there are any insects on the furniture. If there are any holes in the furniture, you will have to get them fixed at the earliest. However, when you use a certain brand of pest or insect repellant, then you must be careful that these do not damage the quality of the antique wood, or of the seat cover. Packing, Moving or Shifting: Whether you are remodeling your home or shifting to a new place, you need to be careful with the antique chairs. Make sure you tell the movers about the antique furniture and advise them to be careful while handling them. When the furniture is delivered to you, check for any signs of damage. If the furniture has a glass or intricate work, you need to be careful while checking. General care for the antique furniture: Apart from cleaning and checking for damage and pests, there is general or the everyday care that you need to incorporate. For instance, avoid keeping the chairs at a place where there is direct sunlight. Avoid fireplace or kitchen areas for your antique furniture. This way you would protect it from the damage from heat, spills and extreme temperatures. Keep reading about expert tips on how to maintain the antique furniture. You can also talk to multiple antique furniture dealers to have a clear idea about the year-long maintenance of these chairs.